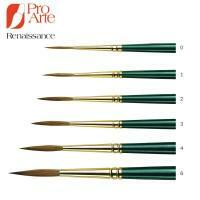 Pro Arte created the Renaissance artists’ sable to run alongside their highly successful Prolene range of brushes. 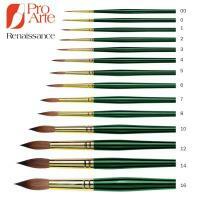 Renaissance is designed to please the purists who insist on traditional sable with its wonderful colour holding ability. Even more important, through strategic purchasing, they have been able to keep the quality up and the price down. 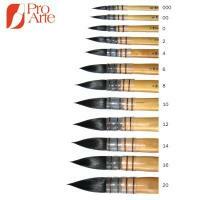 Comparing like for like specification, you will find this brush offers incredible value and is a real joy to possess. 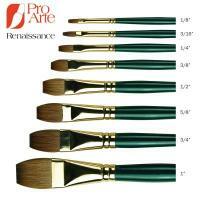 Renaissance has a generous filament set in a gold plated ferrule fitted to a handsome dark green handle. 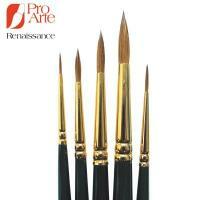 Renaissance is affordable sable.